When I was in my first year of school, my teacher told me to stop talking in class. “But I talk all the time at home”, I retorted. I had yet to learn there was “a time to be silent and a time to speak” (Ecclesiastes 3:7). I still enjoy talking (! ), as well as reading and writing, one of the reasons being that I LOVE words. 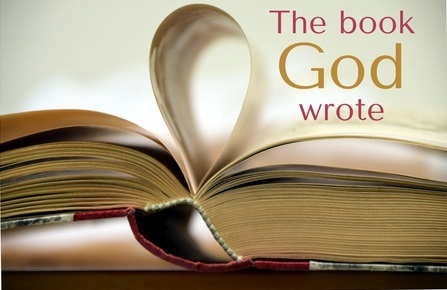 I reckon that God must love words, too, because He wrote a book – the Bible. Often referred to as ‘the word of God’, this book is the medium through which He principally communicates with human beings. But, in our ever-changing, social networking society, this might be viewed as somewhat passé. Why should anyone be interested in the contents of a book that was written so many years ago? After all, the world of the Bible is not the world of today, far less the world of the future! That’s true – times change, cultures change – but the message of the Bible transcends these things, making it as relevant now as it was when it was first written. But what is this message? Principally, it’s the good news of the kingdom, which tells us that although we’ve all messed up and are separated from God, there is a way to get into a right relationship with him. We can be completely forgiven, live useful lives serving God here on earth, and spend eternity with him in heaven. All this is possible through the perfect life and death of God’s Son, Jesus Christ. Is this not a message worth communicating to 21st century people? However, I wonder if some followers of Jesus are beginning to lose confidence in the Bible. Some doubt its authority, or question its truth, while others are sceptical of its sufficiency. But the Bible is an amazing book authored by an amazing God. The Bible not only gives us direction for living in this life, but describes a future for us in the next. Some might argue this book belongs to a past era and, therefore, can offer nothing of value to people living in post-modern society, but those of us who love this book will beg to differ. Its enduring nature is stated in both the Old and New Testaments: “The grass withers and the flowers fall, but the word of our God [the Lord] stands for ever” (Isaiah 40:8; 1 Peter 1:24b, 25). Let’s demonstrate our confidence in the Bible by reading it, believing it, proclaiming it and, above all, living it!